I’d call this a “French Country Gothic Mountain Village Style” Home. Located on the top of a knoll at Walnut Cove, it is probably one of the finest homes in North Carolina. It has everything from a four sided stone fireplace, to wine cellar/wet bar just off the great room, golf course simulator, and full summer kitchen on the screened porch. The home was designed to wrap around to take advantage of the view. 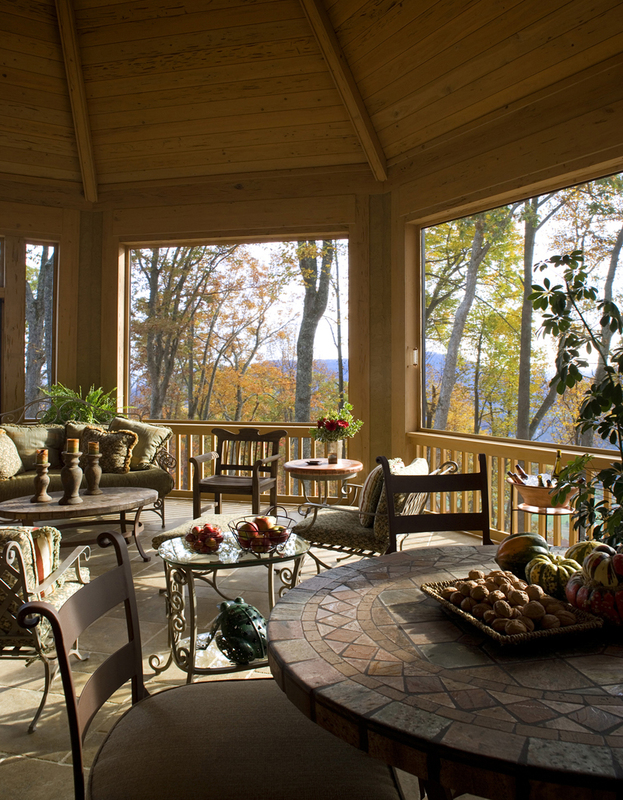 In addition, the sun rises in the breakfast room travels across the great room then to the screened porch as sets off the master bathroom and bedroom. In effect, the home follows the sun. There’s an article about it on this site under Publications.